Our Power PKA71 heat pump with compact dimensions and high capacity is perfect for offices, retail stores and residential use. The large capacity Light Commercial Series is both elegant and compact. 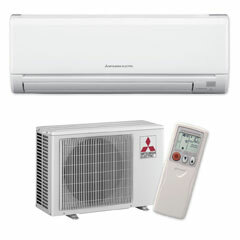 With greater placement options and high airflow they are ideal for both large residential and light commercial use.